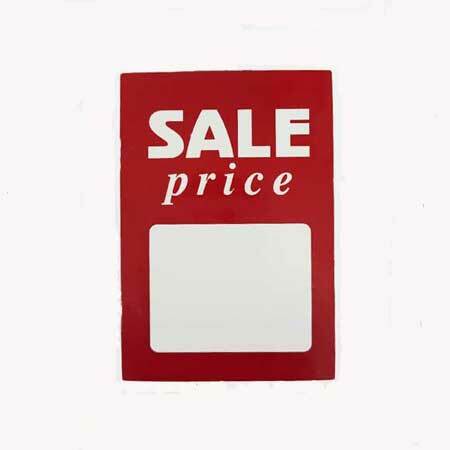 Handy packs of sale cards, featuring the slogan 'SALE price' in the popular Principal design. Cards have a blank panel for you to add pricing or product information as required. Pack quantity varies according to size.